U.S. Air Force Airman 1st Class Janae E. Libby graduated from basic military training at Joint Base San Antonio-Lackland, San Antonio, Texas. 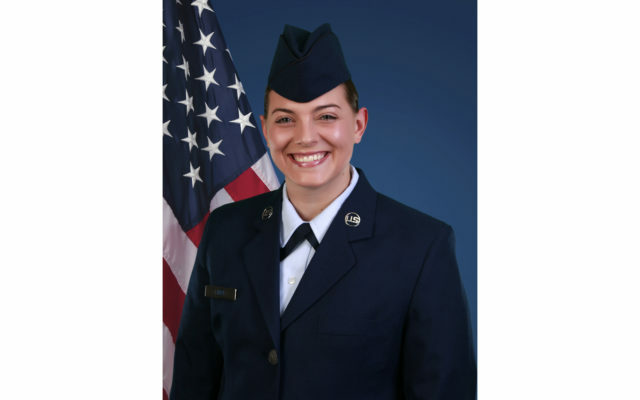 SAN ANTONIO, Texas — U.S. Air Force Airman 1st Class Janae E. Libby graduated from basic military training at Joint Base San Antonio-Lackland, San Antonio, Texas. Libby is the daughter of Garrett J. and Tammy A. Cyr, sister of Isaac J. Cyr and granddaughter of Judith V. Libby of Fort Fairfield, Maine. She is a 2014 graduate of Fort Fairfield Middle/High School, Fort Fairfield. She earned a bachelor’s degree in 2018 from University of Maine Presque Isle.